Showing results by author "Bonnie Jo Campbell"
A finalist for the National Book Award and the National Book Critics Circle Award, Bonnie Jo Campbell is a rising star in contemporary fiction. Hailed by Booklist as a female Huckleberry Finn, Campbell’s heroine is 16yearold Margo Crane. Complicit in her father’s death, Margo flees home for the Stark River. And as she follows the current, she learns the ways of the world from the eccentric characters she meets. 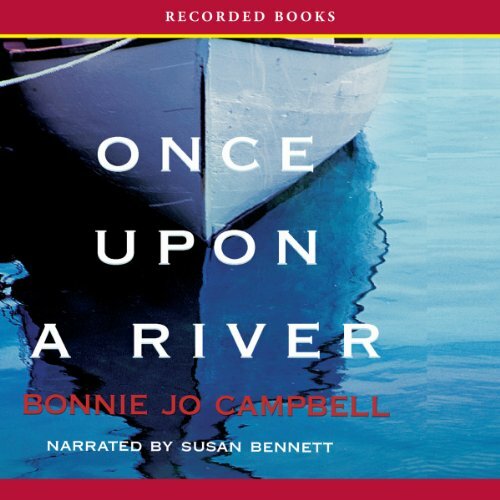 The fiction of Bonnie Jo Campbell has been honored with the Pushcart Prize, the AWP Award for Short Fiction, and Southern Review’s Eudora Welty Prize. In this stunning collection—a National Book Award finalist—Campbell’s rural Michigan characters are both as jagged as rusty metal and as delicate as the light brush of fading dreams. Jim Lobretto has been awake for 24 hours, he’s out of gas, and he’s craving cigarettes. He’s irritable and eager to be home, so when he’s stopped by the police all he feels is annoyance. However, his next cigarette, the one he smokes while he’s waiting for the cop to get out of his car, will spark a traumatic accident and drag Jim into a chain of events which only promise unspeakable agony and pain.